- transfer you to another day of classes or week of summer camp (where space allows). - refund payment within time frames stated below. - give you credit for future Creative IQ classes, camps &/or parties. Refunds are gladly given for weekly classes within 2 weeks (14 days) of payment, less the amount of any classes attended. 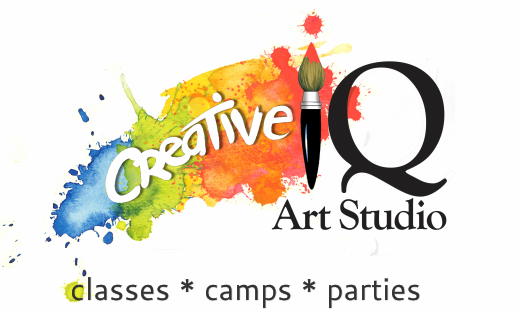 Cancellations made after 2 weeks from payment date but within the first 2 weeks of the start of the class will receive a credit toward future Creative IQ classes or parties, less a $25 adminastrative fee per student and less the amount of any classes attended. Missed classes can be made up within the current semester/season if scheduled with prior notice. Up to 2 unused class credits can be rolled over into the following class season only with prior notice given in writing to the studio (emails preferred). Class prices are not otherwise pro-rated, refunded or credited for missed days or illness. Unused classes are non-refundable. Missed classes can be made up within the current semester/season if scheduled with prior notice. Up to 2 class credits can be rolled over into the following class season only with prior notice given in writing to the studio (emails preferred). Make-up classes are subject to scheduling and space availability. Please call ahead to schedule and reserve your spot for make-up classes. Other than the 2 classes that can be rolled over with prior written notice, class prices are not otherwise pro-rated, refunded or credited for missed days or illness. Unused classes are non-refundable. Refunds are gladly given for Fall, Winter & Spring Camps within 2 weeks (14 days) of payment, less a $25 adminastrative fee per student and less the amount of any camp days attended. Cancellations made after 2 weeks from the payment date will receive a credit toward future Creative IQ classes, camps &/or parties applied to your account, less a $25 adminastrative fee and less the amount of any camp days attended. Camp prices are not pro-rated, refunded or credited for missed days or illness. Unused Extended Care hours are non-refundable. Refunds for Summer Camp are gladly given through April 1st, less a $25 administrative per student fee for each week of camp refunded. Payments made after April 1st, can be refunded up to 2 weeks (14 days) after the date payment is made, less the amount of any camp days attended and a $25 administrative fee per student for each week of camp refunded. Cancellations made after April 1st, &/or after two weeks from the payment date will receive a credit toward future Creative IQ classes, camps &/or parties applied to your account, less the amount of any camp days attended and a $25 administrative fee per student for each week of camp credited. Camp prices are not pro-rated, refunded or credited for missed days or illness. Refunds for parties are gladly given within 72 hours of payment, up to one week from the scheduled event date. Cancellations after 72 hours from payment, or within one week of the scheduled event date, will receive a credit toward future Creative IQ classes, camps &/or parties applied to your account, less the amount of a $25 administrative fee. Refunds are gladly given for workshops within 2 weeks (14 days) of original payment date, up to one week prior to the start of the first workshop class date. Any classes remaining from a partial refund (given as outlined above) will be pro-rated to the individual class price and subtracted from the refunded class(es) price. Missed classes for the limited class series workshops (i.e. 4 class series workshops) as well as cancellations made within one week prior to the start of the workshop are not applicable for store or studio credit, and are non-refundable. Refunds for parties are gladly given within 72 hours of payment, up to one week from the scheduled event date. Cancellations made after 72 hours from payment, or within one week of the scheduled event date, will receive a credit toward future Creative IQ classes, camps &/or parties applied to your account, less an administrative fee in the amount of 20% of the payment made. Refunds are gladly given within 90 days of initial payment when you register & pay for a class, camp or party that is full AND you cannot be enrolled in your 1st, 2nd OR 3rd class/camp/party choice. After 90 days from the payment date, unrefunded payments will become a credit toward future Creative IQ Classes, Camps & Parties less a $25 administrative fee. Call or email us with any questions regarding current class/camp space availability before booking. Credit given toward future classes, camps, parties and workshops as outlined above must be used within one year of initial cancellation. Credit given by Creative IQ toward future classes, camps, parties & workshops, is not valid after one year from the initial date of cancellation made by the purchaser. Refunds are gladly given as outlined above for classes, camps and parties. However, an additional 18% (or the most current percentage charged by the third party registration site) of the total refund will be charged for refunded payments that were initially made though Activity Hero, Galore and all other third party registration websites, for our classes, camps and parties at Creative IQ (18%, or the most current percentage charged by the third party, is kept by the third party regardless of any refund made by Creative IQ).